Oh no, not another blog reminiscing about last year… Sorry! I’ll admit I'm pretty rubbish at writing a regular blog, or more accurately; I'm rubbish at finishing writing and publishing a blog post! I've had inspiration for this reflection from a few blogs/forum threads/articles/funny Christmas letters I've read over the last few weeks and I thought I’d jump on the band wagon. So the format is almost a complete rip off of a few blogs and forums, keep it simple, I like it. A climb, a highlight, from each month of the year, a picture to go with it, and probably too much rambling words, good luck..
Take the Throne VI 6 ***, Creagan Dubh Loch. 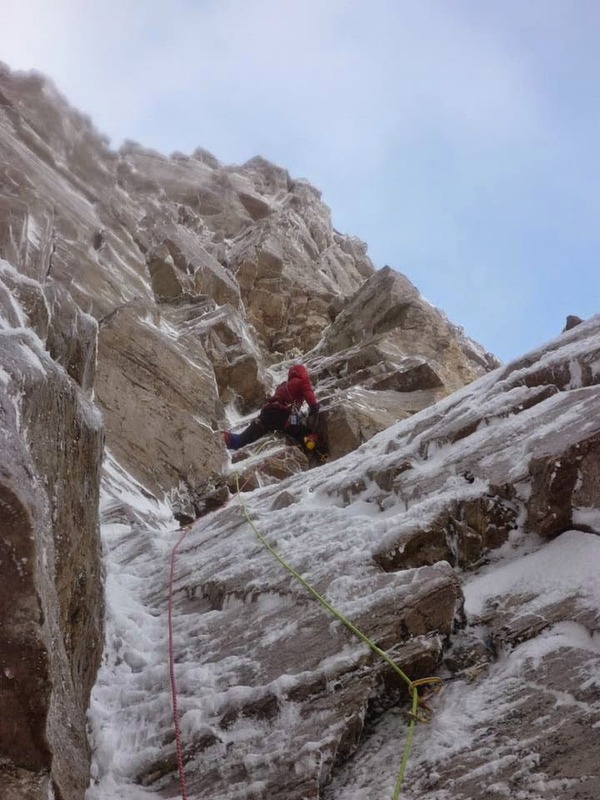 Without wanting to be too predictable the highlight from January was climbing the first ascent of Take the Throne with Uisdean, what a great start to the year. The Dubh Loch was in once in a lifetime condition and I ended up in the right place at the right time (often the hardest thing to do winter climbing in Scotland! 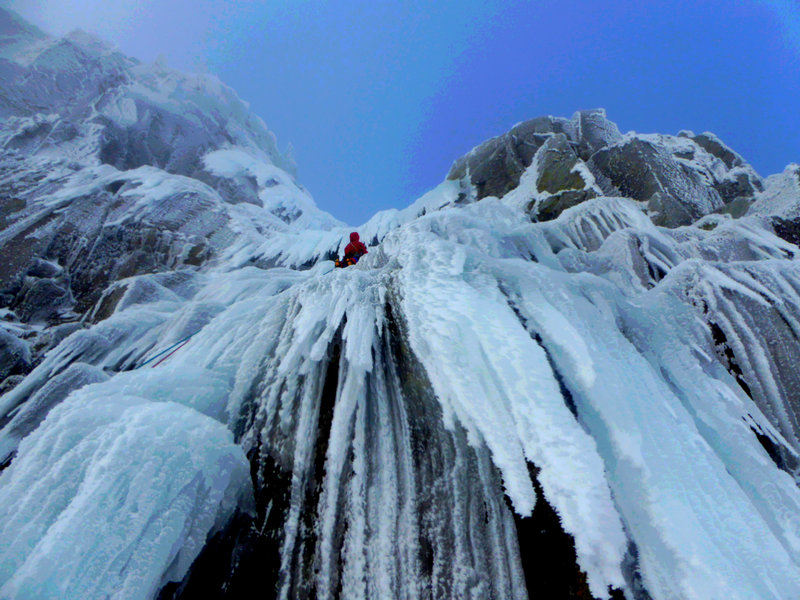 ), managing a whole weekend climbing on a very icey broad terrace wall – a really memorable couple of days. Post script: I’ve just purchased the 2014 SMC Journal and I’m quite psyched to see a photo of me on the route in there! Quite cool I thought! The Sting VI 6 **, Creagan Dubh Loch. Cashing in again on an in-nick Dubh Loch, ice climbing in the sun to make the second ascent of The Sting with Sam and Uisdean, a brilliant day out! In February I also managed to get back on the rock both locally and a quick afternoon at Burbage and day at Back Bowden were the highlights. Blood, Sweat and Frozen Tears VIII 8 ***, Beinn Eighe. March was a good month for getting out on rock as well with another trip to Northumberland and an ascent of Merlin E5 6a*** at Back Bowden being one of the highlights. The timing of a long weekend and brilliant weather made this an incredible trip, wild camping on Erraid and climbing loads of superb granite was sublime. Covenant was a route that I’d had my eyes on for a wee while so it was great to climb it in the sun and in good style. Erraid is a truly magical place that I have been inspired to visit for some time, Jules describes it perfectly; “and there I saw it, in the distance, beneath the greyness – a slither of bright, mango-hued light shining – the fading sunset of a far away Avalon.” Just perfect, a true Scottish paradise! 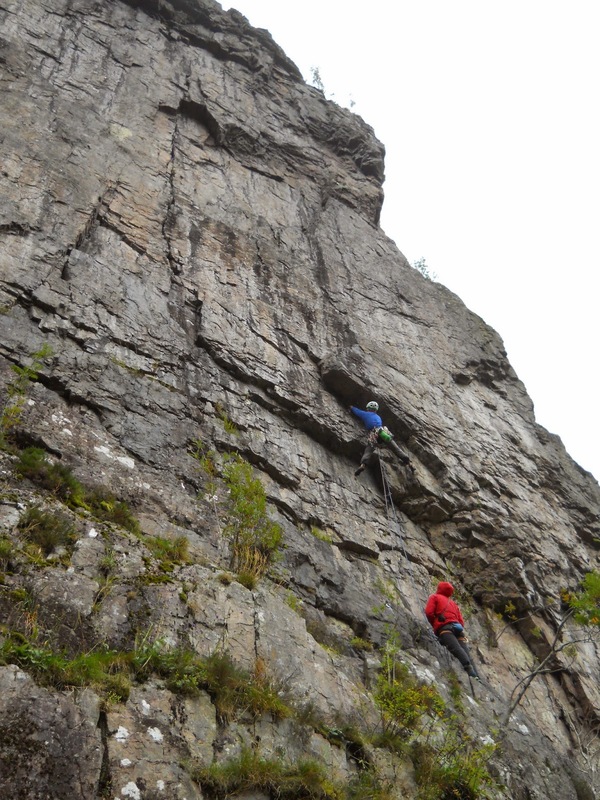 Aquarian Rebels E4 6a***, Glen Nevis Gorge. May started well with a good day in Pass of Ballater where I was happy to onsight my first E5. After my final uni exams the month culminated with a brilliant few days climbing lots of classics in Glen Nevis. There were three really stand-out routes from the two-and-a-half days; one was On The Beach E5 6a*** on Wave Buttress, the other was Land Ahoy E3 5b*** on Black’s Buttress, Pulldubh, which is an outstanding solo. But beating them too it has to be Aquarian Rebels. The whole experience was great; starting off the big boulder above the roaring stream, the exquisite slab and crack climbing, all made a bit more exciting by a proper aquatic experience of a shower of rain mid route! April Fools 7b***, Cat Wall, Tonsai, Thailand. Dayni and myself had a great month in Thailand in June, one of the best holidays I’ve ever been on. Great culture, great climbing, amazing food and good company! The whole experience is stand-out but if I have to pick one route it would be April Fools, my first 7b onsight (a long time coming, but probably only through not having done much sport climbing up to this point), a brilliantly steep climb taking great limestone features on one of the best cliffs at Tonsai set up above the rainforest overlooking the whole bay. The thunderstorm and rainbow mid-route are unforgettable! 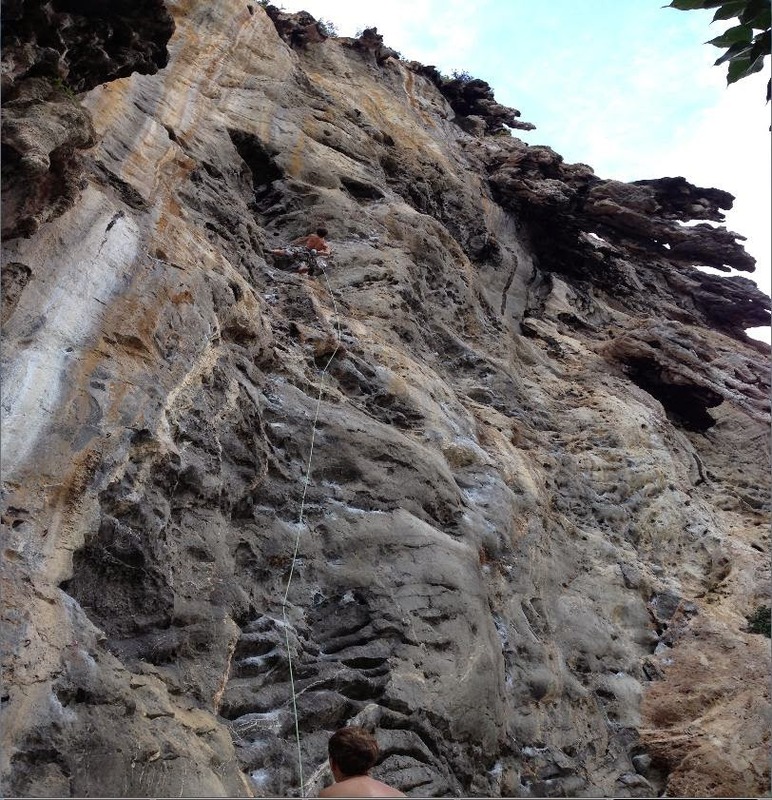 We also had a brilliant few days bouldering (and diving) on the island of Koh Tao. A brilliant trip! Hole in the Wall E5 6b, 7a+ S2***, The Escarpment. 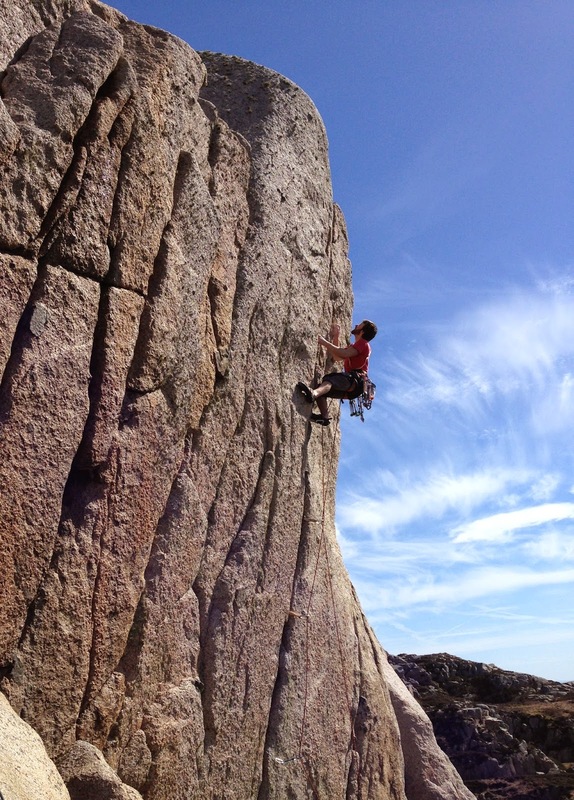 Back in Scotland and being able to climb full time before my Graduation, July was a good month with lots of great short trips, Reiff, Arran, Moray coast and lots of local things. Having to choose one route is very hard! But in the end Hole in the Wall stands out, a brilliant committing solo on perfect granite, I had top-roped the route in poor conditions but was able to catch some good conditions on the rock (despite the sea state) and climb the route, thanks must be made to Dayni for coming along to cheer me on and take photos. The end of the month saw the start of the Europe trip with Uisdean, stopping in Wales for a few days of brilliant weather and great climbing some of the Llanberis classics. August was again a hard month to choose just one climb! 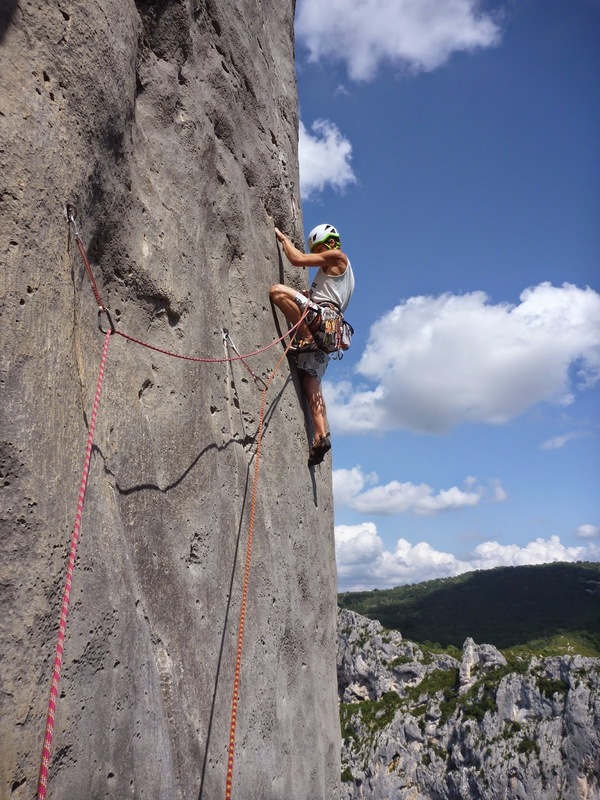 We ended up doing a lot of really good sport climbing in the south of France, with time in The Verdon, Ceuse and Gorges du Tarn, I climbed some of my hardest routes onsight and definitely got stronger on two finger pockets! We also managed a great few days climbing Granite cracks in the alpine sun on the Aiguille d’Envers right at the end of the trip. 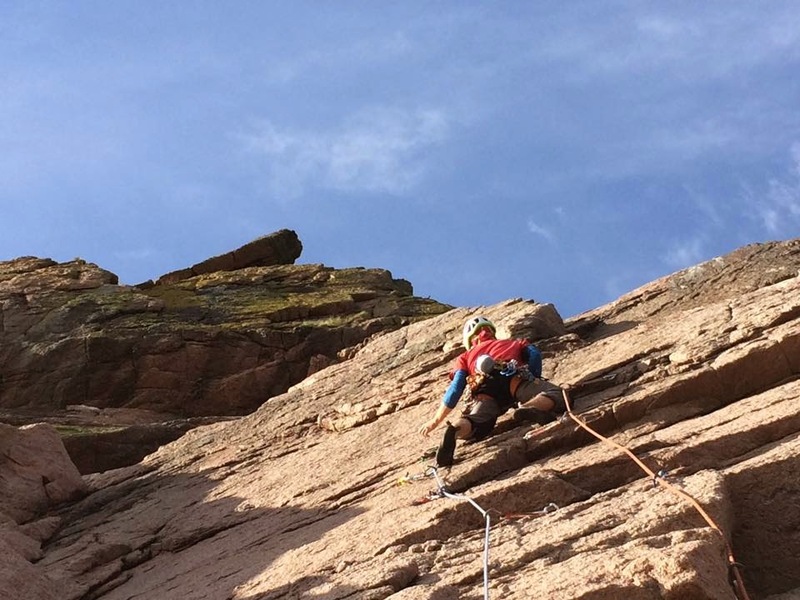 That said one route that stands out is Ctuluh which is a two pitch route right at the top of the Pichenibule wall. Climbing on the incredible pocketed technical limestone with hundreds of meters of exposure below is breath-taking. In keeping with all the other routes in Verdon Ctuluh felt hard for the grade so I was happy to hang on and climb it onsight. My first time rock climbing in Glencoe came in the form of a short trip early in the month with some good weather and good company. Spacewalk E5 6b** was good (happy to onsight) but Freak Out was better and deserves its Extreme Rock status! (The photo is me setting off on the first pitch of Crocodile, Freak Out takes the obvious vertical crack line to the left). Solo-tember was a good month for getting some considerable local rock mileage on the Aberdeen and Moray coast, visiting new crags and searching out some esoteria was good fun. It felt like my head was in a good place for soloing after a summer of rock. I onsight soloed loads of routes and definitely learnt a lot about climbing head games of executing hard moves in dangerous situations. Although I think the amount of sunshine definitely helped the psyche levels. I had been very keen to get on Lunatic Fringe for quite a while, so it was brilliant to get it done. Thanks have to go to Dayni for holding my ropes and apologies for making you end up seconding Akimbo Crack in the dark! Otherwise a good evening climbing one of the best routes on the Aberdeen coast! I didn't manage to get any photos of me on Lunatic Fringe, so here's another one from October of Shrinking Violet at Red Wall on the North Coast. 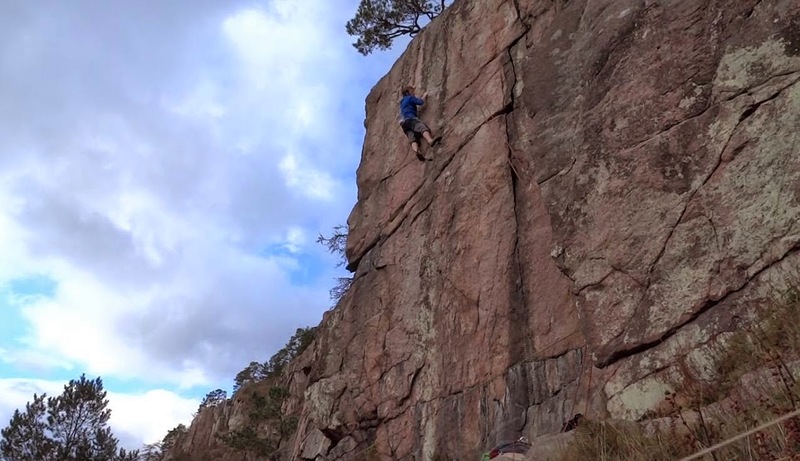 Drambo Direct E6 6a/b***, Pass of Ballater. As for the grade, I initially thought E6 6a, but it is more sustained than the original and without the good rest and high side runners, so having spoken to a few people it could well be worth 6b, especially to lead it, someone even touted possible E7, but I’m not sure about that. 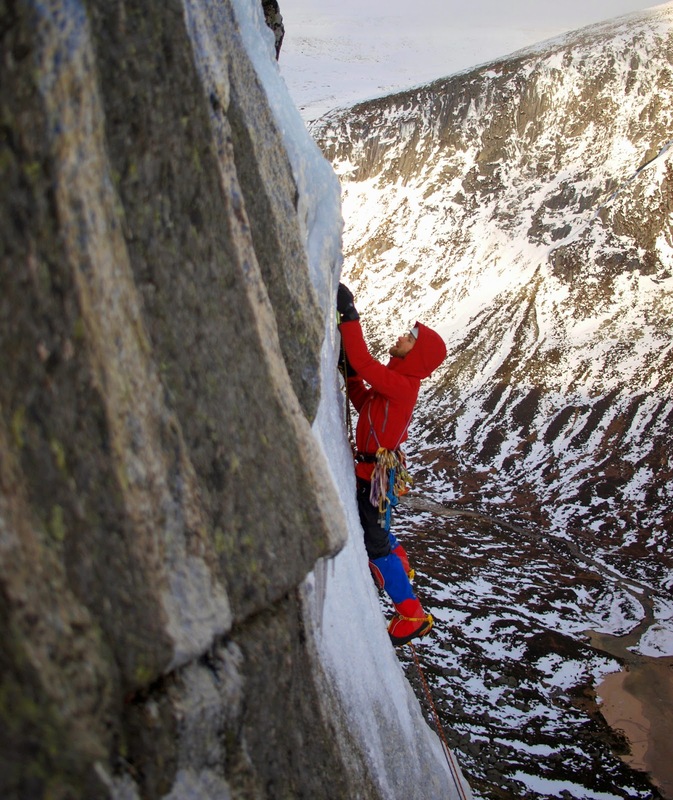 Super G VI 6***, Ben Nevis. 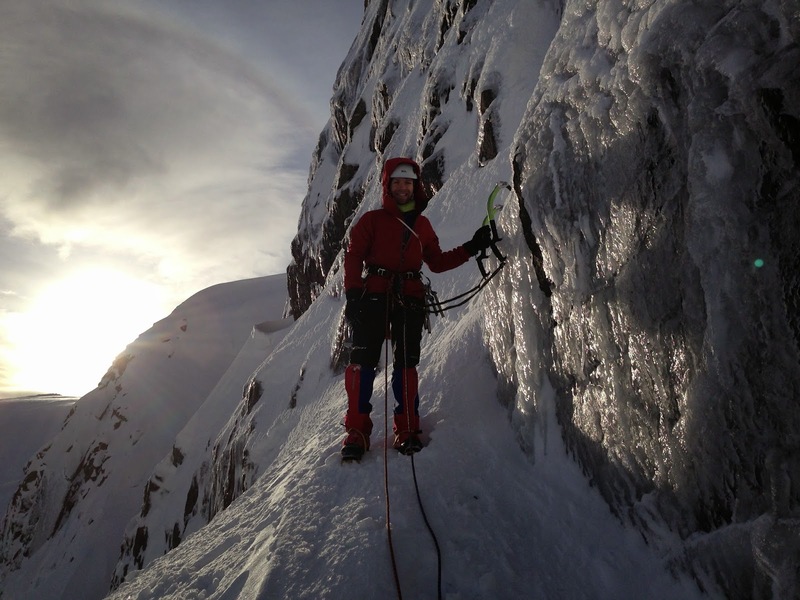 Climbing the first ice routes of the season before Christmas was a promising sign of what was to come, making the most of the spell of good weather and the time off over the festive period I managed to get out in the mountains quite a lot! I had an incredible day on Boxing Day without a breath of wind on the Cairn Gorm plateau I made my way across to Hell’s Lum Crag and soloed The Chancer – an exhilarating steep-ice-totally-committed-just-keep-pulling experience, unforgettable. Well, if you’ve managed to read all that waffle you’ve done well and might be scared to know I might try and write another blog before the end of the month taking a look forward to some of my ambitions for this year. Hopefully an opportunity to get psyched! I must add, thanks to all those people whose photo's I've stolen; Richard Bentley, Sam Williams, Uisdean Hawthorn, Chris Chan, Ron Kenyon, Dayni McConnell, Murdoch Jamieson, and Donna Ryan.